Any time a series inspires an entire genre of games, you know they’re doing something right. One half of the inspiration behind the ever-popular Metroidvania genre of games, Castlevania does a lot of things well and arguably includes the most battles against Count Dracula featured in any gaming series. Today, we are going to take a look at some more classic RPGs from the SNES stable. At OSGV, we are fond of RPGs and it would make us happy if you the reader can discover some of the games that gave us so many happy memories growing up. The first thing I do when I encounter any expensive game is looking for serial numbers. For Nintendo 64 games look in the cartridge slot. On authentic games, if you look in the groves of the N64 game you see some numbering in the slots. Are you a fan of Super Mario Bros, then you got to check out the history and what made this such an epic gaming Franchise. This article was written by the nice folks over at GamesMojo.com, so head over and check them out! 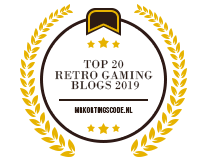 They are a great spot for reviews, news and fantastic gaming blogs! The late 1970s saw the release of the Atari 2600 and the rise of the home gaming console. But by the early 1980s, it crashed and burned. This was due mostly to gamers’ frustration at sub-par games (“E.T. The Extra Terrestrial,” anyone?). The sentiment effectively killed the home-console market. What Are The Expansion Ports Under A NES And N64 Used For? These days, game systems come with all kinds of I/O ports—USB, HDMI, Ethernet, Optical Audio and more. These portals are used to do everything from log online to connect digital cameras. Why, Where and How Should I Study Game Design? The Dark Knight is without a doubt one of the most beloved comic book characters and pop culture icons of all time. Over decades, Batman’s brooding nature, ace detective skills and colorful gallery of villains have become second nature to most of us. Could A Video Game Be the Answer To Your Kid's ADD/ADHD? Video games seem to be part and parcel of parenting today. And while kids love them, you might not be thrilled at the idea of your kid choosing video games over homework - especially if video games seem to be the only thing on which they can concentrate. The year 1998 was a truly landmark year in video game history. This was the year Legend of Zelda finally went 3D. The first FPS with a stellar, story-driven campaign was released. The age of the modern stealth game began.